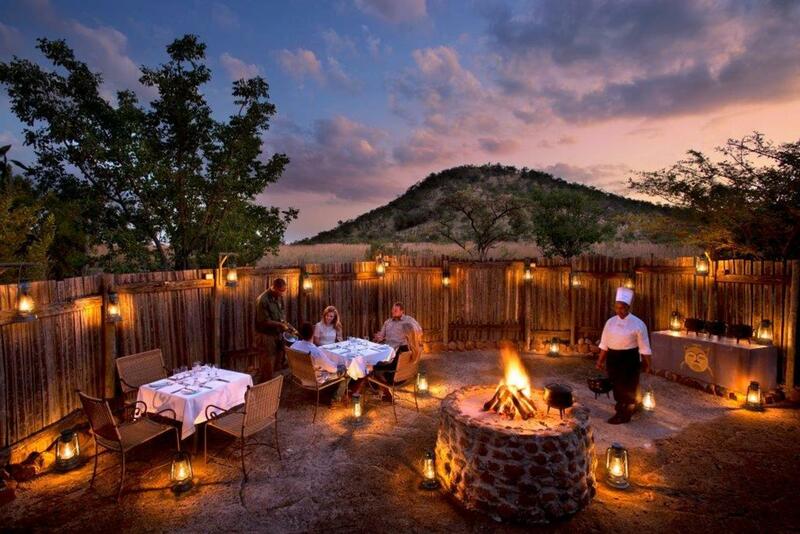 Join us on this 5 star luxury Pilanesberg safari experience. Spend 2 days and 1 night at the exclusive Kwa Maritane Bush Lodge situated in the Southern region of the Pilanesberg National Park. Stretching over 55,000 hectares of pure wildlife heaven , this malaria-free destination is the safari holiday you’ve been searching for.The Pilanebserg is home to the Big 5 as well as an abundance of other bird and animal species that roam freely. 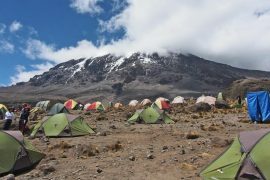 The tour is a mixture of relaxation, wildlife encounters and good food. 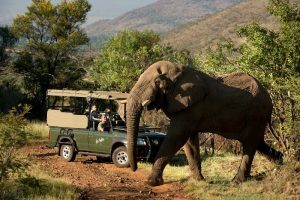 This luxury safari tour is perfect for travelers with limited time in Johannesburg who would just love to experience the incredible wild life and ambiance of a South African Safari. 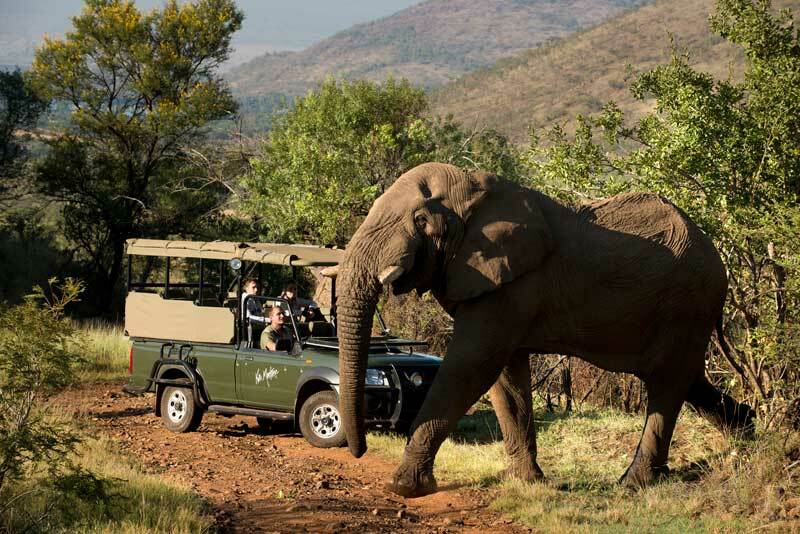 What to expect on this Luxury Pilanesberg Safari tour? 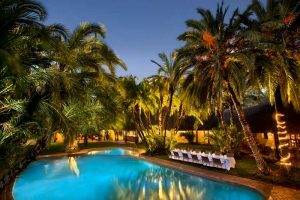 We understand that you are looking for a really exclusive and relaxing safari experience. So that means you leave all the organizing and logistics to us. 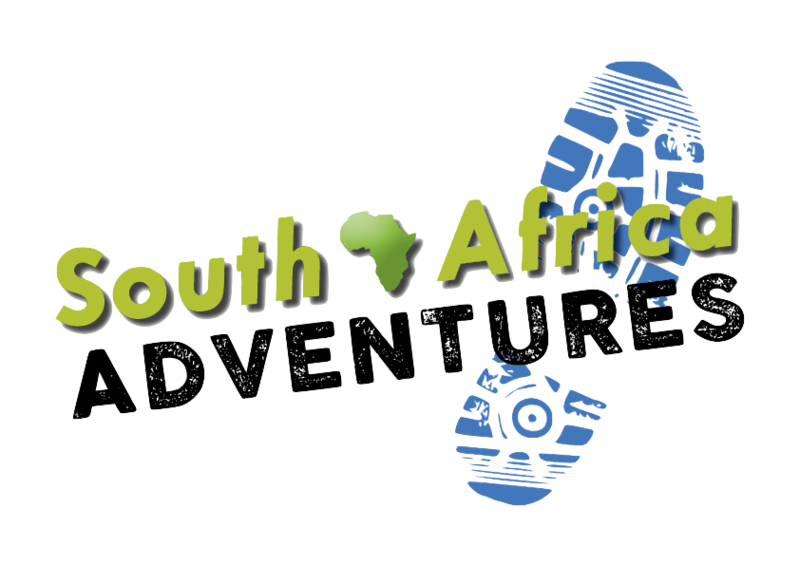 The tour includes all the meals, 3 safaris in an open air vehicle, the return transfers from Johannesburg and 5 star accommodation. 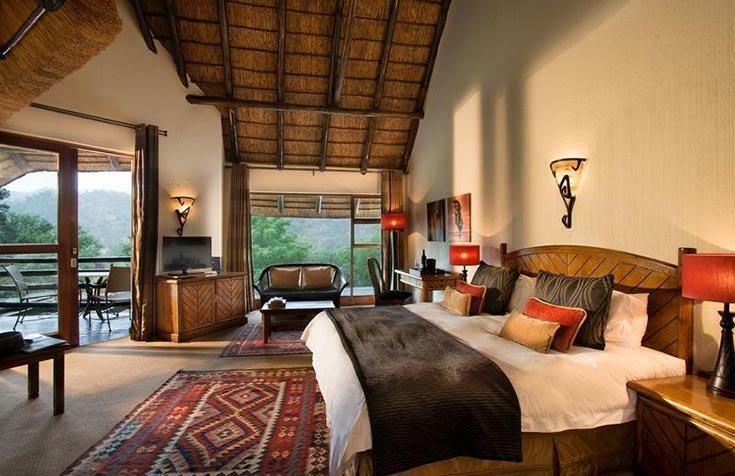 The Kwa Maritane Bush Lodge is more than a luxury lodge, more than the perfect Pilanesberg safari destination, more than an escape from life…This 2 day safari offers an authentic South African safari experience combined with the utmost respect for the local culture and a passionate love for the conservation of the wildlife in the Pilanesberg. 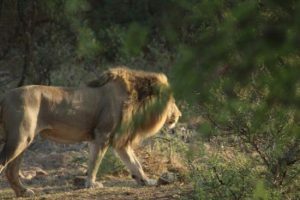 The Kwa Maritane Bush Lodge is a proud member of the Legacy Group and only not only will we guarantee a magical experience but will ensure exclusive close-up encounters with the animals with our passionate game rangers. 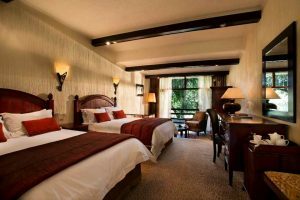 Accommodation for the evening is in the Standard Rooms which includes a Double Bed or two single beds depending on your requirements. To ensure your comfort and convenience all the rooms have individual air conditioning, bathroom with shower and toilet, Satellite Television, Direct Dialing telephones, electric shaving points, coffee machine, hairdryer, international multi-plugs and electronic safes for your passport and any other valuables. 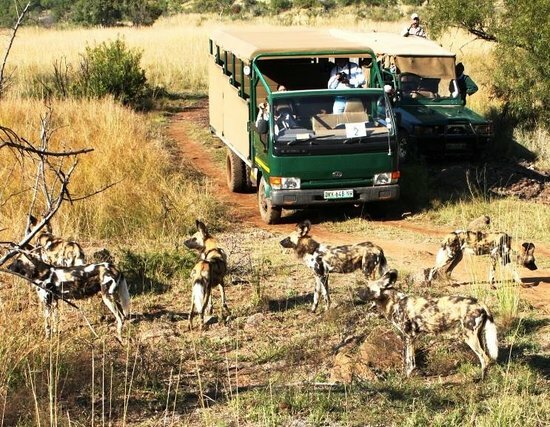 Our passionate and highly experiences rangers who hold the esteemed Field Guide Association of South Africa qualification will drive you into the Pilanesberg on our open air game vehicles. The best time to view the wild and free roaming animals is in the early morning and late afternoon/evening. We have scheduled 3 x 3 hour game drives on this incredible tour. The ranger will immerse you into the soul of the South African bush where you will learn about the diversity of animals and plants that make up this magical biosphere of nature. The Pilanesberg is home to the Big 5 (lion, leopard, African Buffalo, Rhino and Elephant), 360 bird species and a host of other species. 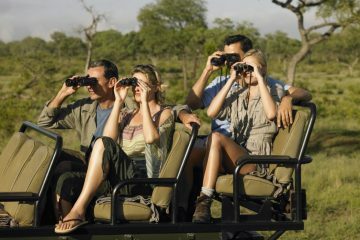 Look out for your favourite animal from zebra, giraffe, hippo, wildebeest, crocodile or even the majestic Fish Eagle. Travel day. 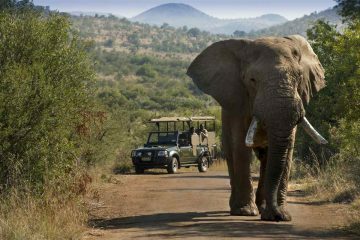 Our scheduled safari tours of the Pilanebserg leave from Johannesburg at 06H00. Your host for the duration of the tour will meet you at your hotel. We then take the 2.5 hour drive through to the Pilanebserg with a stop for refreshments along the way at a traditional ‘boer’ restaurant where you can get a taste of the local coffee. We have an early game drive scheduled. The best time to view the animals of the Pilanesberg is in the early morning. Wake up call is at 5:30am-ready to go at 6:30am. 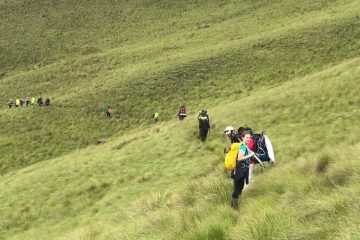 We will travel to the western part of the Pilanesberg to take discover the different terrain and landscape formation s while we search for the leopards, lions, African Buffalo and rhinos that frequent this part of the reserve. We should be back at the hotel by 9:30am where you will get to enjoy a scrumptious buffet breakfast on the terrace that overlooks the Pilanesberg. Check out is at 11am. We will then take the 2.5 hour drive back to Johannesburg with a stop enroute at the Hartebeespoort Dam. We should have you back in your hotel by 3pm.